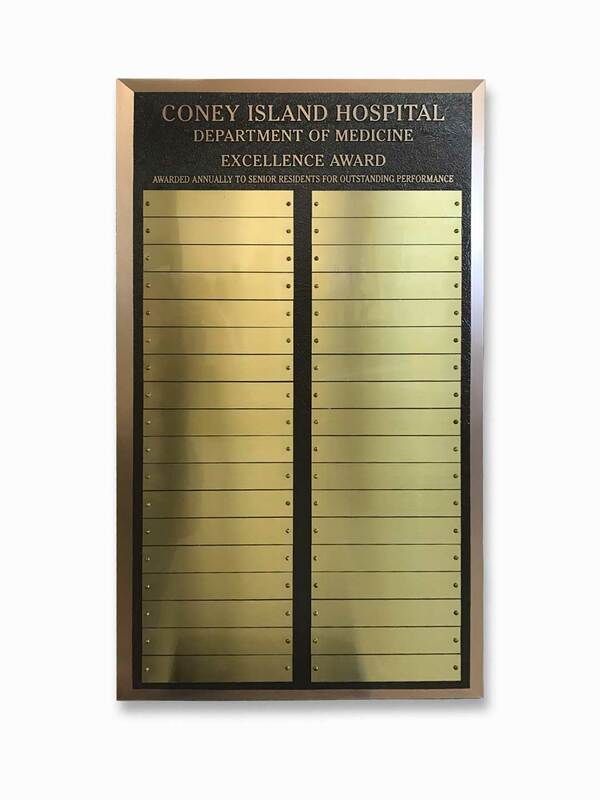 75 - 3 1/2" x 8 1/4 x 3/8” glass dedication plates mounted to a framed, 3/4" thick satin aluminum backgrounds. 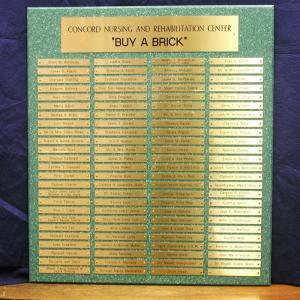 33" x 45" cherry background has a copper title plate, copper donor plates with black text and copper accent strips. The logo is laminated behind Plexiglas. 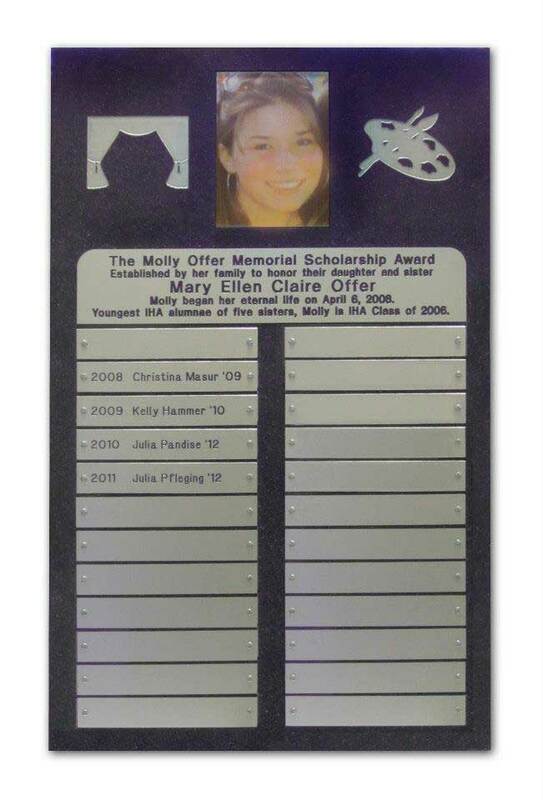 20 – 7” x 12” glass plaques cover 1/8” replaceable Plexiglas back plates with copy and photographs printed on the back. 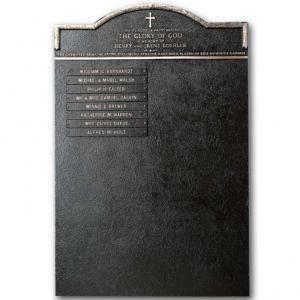 5” x 45” x 3/8” glass plaque with black copy titles the wall. The glass and Plexiglas floats 1/2" from satin aluminum back plates. Aluminum rosettes cover the mounting hardware. 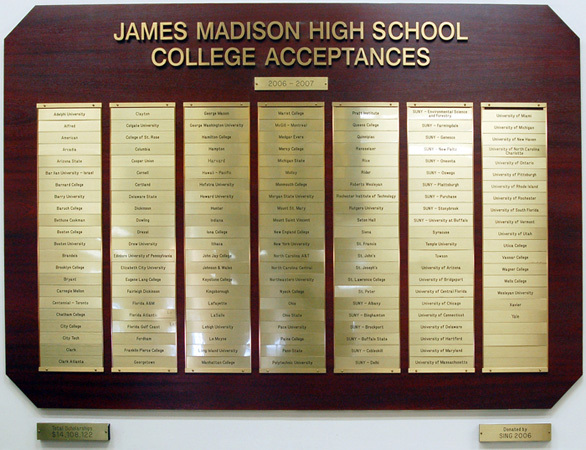 Brass engraved plates are mounted onto beveled edge Corian®. 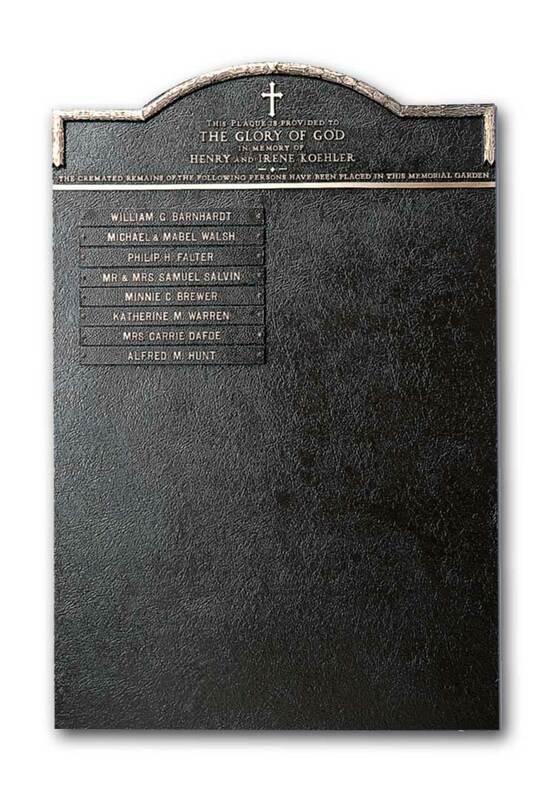 The title and descriptive information are engraved into a brass head plate. 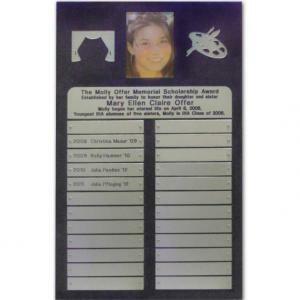 25” x 41” x 3/8” clear Plexiglas accommodates 40 – 1 1/2" x 8” x .025 satin aluminum namestrips. 4- 1 3/4" x 8” and 10 – 1 1/2" x 5” year plates. Black vinyl letters title the board. 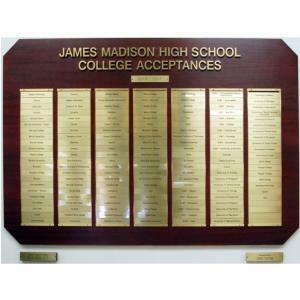 Removable satin brass plates in metal channels sit above a cut edge mahogany background. 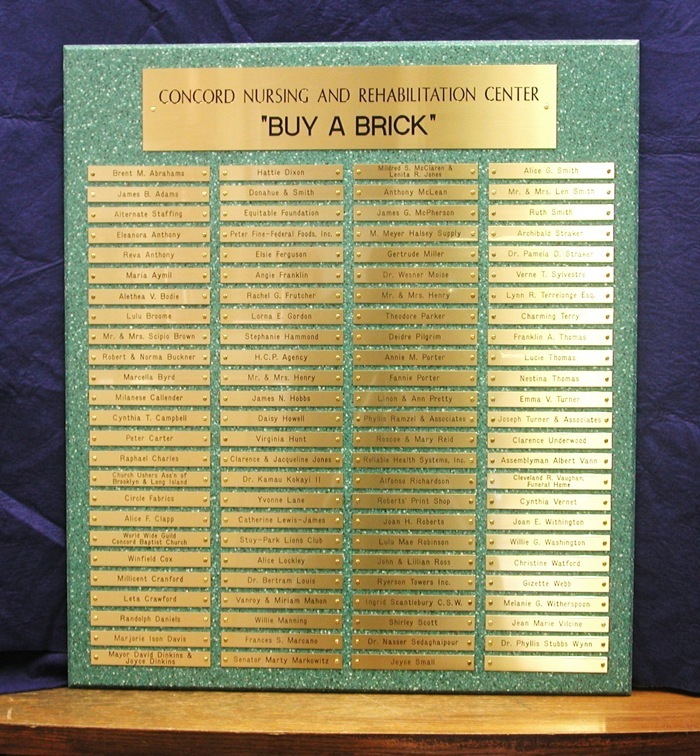 Individual brass letters and a changeable date plate title the design. 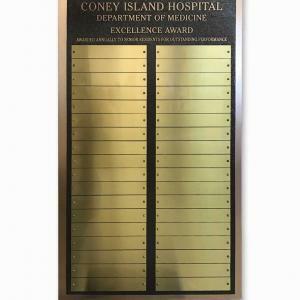 18” x 15” x 1/8” Anodized Aluminum 10 – 1 1/2" x 6” x 1/8” Anodized Aluminum nameplates Logo and copy printed in color.